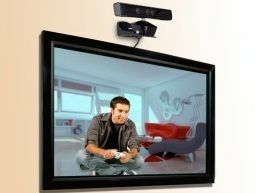 Microsoft looks set to roll out its first official Kinect for Windows SDK at around 5.30pm today, with the popular motion sensor for Xbox 360 being opened out to developers for the PC platform. Micorosoft has been open about its plans to roll out a software development kit for Kinect that would allow it to become a peripheral for its Windows platform, and an announcement on the SDK now looks likely to be made today. An email from Microsoft site channel9 invited people to tune in to an event at 9:30am Pacific Time, or 5:30pm in the UK. "You are invited to tune into a press announcement tomorrow (Thursday 6/16) 9:30-10:00am PT for an important message from Microsoft Research regarding the Kinect technology," said the email. "Following the announcement, we will continue with Ch9 Live broadcast starting from 10:00am-2:00pm PT." The site to watch the announcement is at http://channel9.msdn.com/live with a countdown clock currently being shown. The potential for motion sensor and voice control for PC are clear, although the proximity of the sensor is something that could be problematic; it works better with a good metre of distance between the sensor and the person on the Xbox 360. However, developers have already being suggesting some novel uses for the technology, and there is little doubt that this could be an exciting stepping stone for user interfaces for Windows.